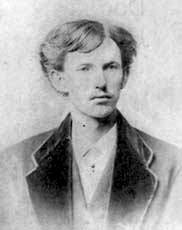 John Henry “Doc” Holliday at at 20, when he graduated from dentistry school. There are some figures in history who, while they were real people, have achieved legendary status. And sometimes that legendary status has a kernel of truth behind it but has grown well beyond the reality of the person. One such figure from the Old West is Doc Holliday. 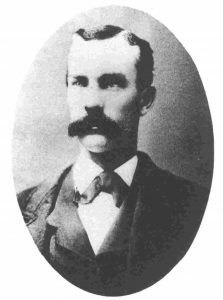 John Henry Holliday was born in Georgia in 1851 and by age 20 had earned a degree in dentistry, thus the famous “Doc” moniker. Unfortunately for him, he soon thereafter was diagnosed with tuberculosis due to the fact he’d helped care for his mother when she had the disease. Hoping the drier climate of the American Southwest would help alleviate some of his symptoms, he moved there and became a gambler. During a stay in Texas, he saved Wyatt Earp’s life and a legendary friendship was born–a friendship that would lead to the O.K. 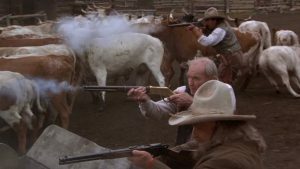 Corral and the events that made both men famous. 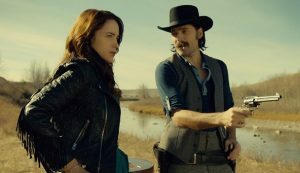 Melanie Scrofano as Wynonna Earp and Tim Rozon as Doc Holliday. 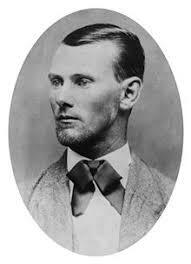 Despite Holliday’s reputation as an accomplished gunslinger, researchers have since determined that it’s likely he only killed one or two men during his short life of 36 years. But that hasn’t stopped the myth of the man from being repeated and embellished since his lifetime. He’s been immortalized in numerous pieces of fiction, in song and in a seemingly endless array of movies and TV programs. 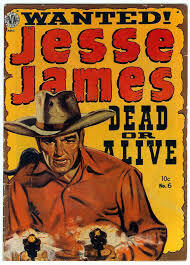 Famous names such as Cesar Romero, Kirk Douglas, Willie Nelson, Dennis Quaid and Val Kilmer have portrayed Holliday, and just this past week news broke that Jeremy Renner will be the latest in that list to play the man, this time in a biopic based on Mary Doria Russell’s books. 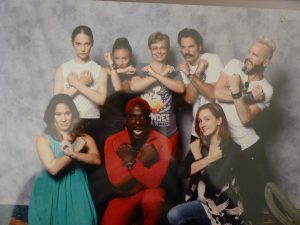 Me with the cast of Wynonna Earp at DragonCon 2017. Holliday has even made appearances in sci-fi/fantasy stories such as a 1966 episode of Doctor Who, a 1968 episode of Star Trek and my personal favorite, the current SyFy show Wynonna Earp, in which actor Tim Rozon plays Holliday to perfection. In this reimagining of the Earp/Holliday story, based on the comic book series of the same name, Wynonna Earp is the great-great-granddaughter of Wyatt. On her 27th birthday, Wynonna officially becomes the “Earp heir” and inherits the ability to return revenants, or the reincarnated outlaws that Wyatt killed, back to hell using Peacemaker, the revolver with a 16-inch barrel that once belonged to her famous ancestor. In this telling, Holliday has been cursed with immortality, thus his lack of aging between the time he ran with Wyatt Earp and now when he’s helping Wyatt’s great-great-granddaughter with her duties. Are you a fan of Earp/Holliday tales? If you’re a Doc fan, what has been your favorite incarnation? Here we are on another wonderful Tuesday and today I thought I’d post another excerpt from my latest release, WOLF SHADOW’S PROMISE — (I posted one release a few weeks ago). 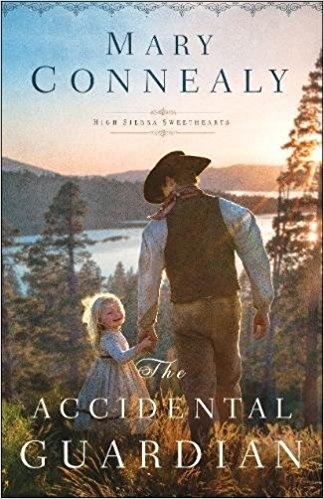 The book, set in Montana, is about a man determined to save his people from the whiskey trade, which is killing his people (and the truth is, that the whiskey trade was doing just that at this time period in history). So come on in, scroll on down and I hope you will enjoy the excerpt. 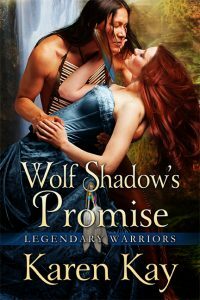 Oh, and before I forget, I will be giving away a free e-book of WOLF SHADOW’S PROMISE, so please do leave a comment. Over to the right here are our Giveaway Guidelines — these govern (so to speak) our give-aways. And don’t forget to check back Wednesday or Thursday night to see if you are a winner. I really do count on you to do so. Alys turned her head away from the man, her air dismissive. She heard his laugh and wondered what it might feel like to dunk him under that falling water. She felt certain it would bring her great relief. She drew in a deep breath. She’d had no choice in accompanying him, of course. 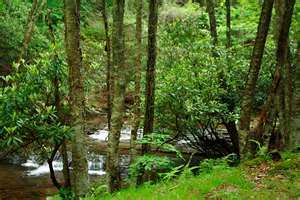 She had watched him struggle toward the falls, had tried looking away, knowing he had exaggerated each and every falter in his step. Yet in the end, she had not been able to remain a simple observer. She had come to his aid, had helped him through the tunnels and outside into the falls. She had even spied on him as he had undressed, much to her chagrin. The flirt. He knew the effect he was having on her, seemed to relish in it. A long silence befell them, and suddenly he was in front of her, dripping water all over her, with no more than a cloth covering his unmentionable parts. She stared up at him, shivers running up and down her spine. And it wasn’t from the cold: she didn’t need to be told twice how this man would look without that tiny bit of cloth covering him. She rolled her eyes heavenward. Howdy! And welcome to the Tuesday blog. Well, today I’ll be giving away THE ANGEL AND THE WARRIOR in either e-book format or mass market paperback, winner’s choice. There is a restriction. It is limited to the United States only. There are also the rules for free give-away — over to the right here — that govern our give-aways, so please do give that a read. Sometimes there’s a problem because some sites out there contact you to ensure you know you’ve won. But we don’t do that here. We rely on you to come back in a day or two to see if you are the winner. If you have won, instructions will be given on how to contact me so that the book can be sent to you. But you must contact me in order to claim your prize. Off to the left here is the e-book cover of the give-away book and at the very end of this blog is the mass market cover of the book. All right. So with that said, let’s have a look at what I consider to be one of the most fascinating parts of this book, and of this series. 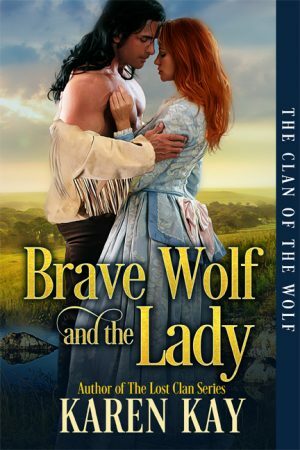 This is the first book in THE LOST CLAN series. Now, this series is set not only within historical times, but within the framework of American Indian Mythology. There are a couple of characters in this series of four books which are caught in all four books, and one of those characters is the Thunderer. Being plays a dominant role in most Native American tribes — perhaps because when one is living so closely to nature, the Thunderer, who can produce so much damage, would be a subject of much legend. In this series of books, the Lost Clan has been relegated into the “mist” by the Creator, who intervened on the people’s behalf when the Thunderer became bent on destroying every single member of the clan. Imprisoned within that mist, each band of the Clan is given a chance within every new generation to choose a boy to go out into the real world. That boy is charged with the task of undoing the curse, thus freeing his people from what would be an everlasting punishment (they are neither real, nor dead). But, not only must the boy be brave and intelligent (there are puzzles to solve within every book), he must also show kindness to an enemy. Let’s have a look at the Thunderer and some of the different tales about this being. 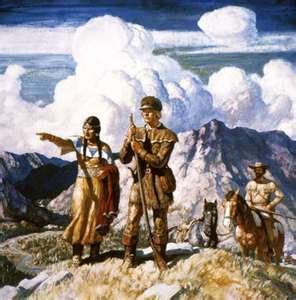 In Blackfeet lore, the Thunderer often steals women. He can take the image of a very large bird — his wings creating the thunder and his eyes shooting out the lightning. In Lakota lore, if one dreams about the Thunder god, he becomes a backwards person. He must do everything backwards. He washes in sand, become dirty in water, walks backwards, says exactly what he doesn’t mean, etc., etc. The dream is so powerful that it is thought that if one fails to do these things, he courts certain death. In THE ANGEL AND THE WARRIOR, the hero is one of these boys who is charged with the task of freeing his people. He is desperate because he only has until his 30th birthday to undo the curse, and the hero of the story is 29, with only a few months left to accomplish this task. Relying on visions and dreams, he is drawn toward a woman with hair the color of starlight. But he regards her and his growing feelings toward her, as little more than a distraction, and great suspicion. 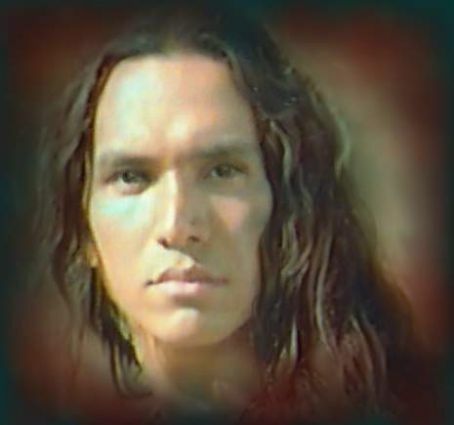 There is also a legend of the Thunder Being in the Iroquois Nation. In this legend, a young woman becomes the bride of the Thunderer and through him saves her village from a huge snake that burrows under her village, thus endangering the lives of everyone in her village. There is still another legend about the Thunderer which you can watch on the Movie called Dream Makers — well, I think that’s the name of the movie (if I am wrong about that name, please do correct me). In this legend, which is also an Eastern Indian tribe, a young woman marries the Thunderer and goes to live with him in the above world. But she is returned to her own world when she becomes pregnant with his child. What is very, very interesting to me is how many and how vast are the stories and legends that abounded in Native America. Though we often hear or even study the ancient lore of the Greeks, seldom do we read much our own myths — the mythology that belongs intimately with this land we call America — which by the way, to the Native Americans on the East Coast, America is known as Turtle Island. Fascinatingly, there is a story for almost every creature on this continent, from the crow to the sparrow to the coyote (the trickster), the wolf and bear. There are legends about the stars, the Big Dipper hosts legends about the Great Bear (Iroquois) and the Seven Brothers and their sister (Cheyenne and Blackfeet). There are still other tales about the Morning Star and the Evening Star and marriages between the Gods and mortals. Do you, like me, love these kinds of stories? In closing, I thought I’d post a short excerpt from the book. 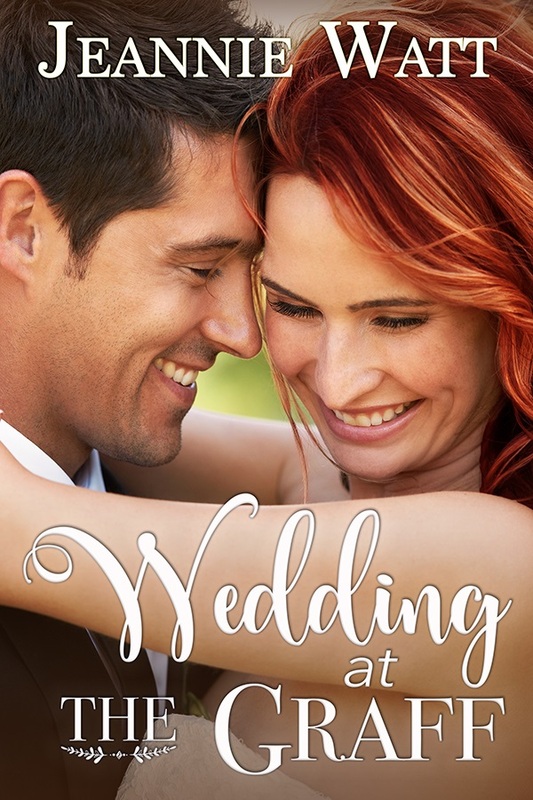 He stared at her, and in his eyes, Angelia thought she saw a spark of…laughter? “That’s it. That’s the one. Your wife? You have a wife?” she asked, feeling more than a little confused. Angelia sat for a moment, dazed. How could this be? On one hand, she was cheered that Swift Hawk was, indeed, very much interested in her. On the other hand, she realized she should have been worrying less and practicing more of exactly what she should say to this man. Was this what he’d meant when he’d said they belonged to one another? Marriage? Swift Hawk frowned. “You do not remember? And yet recalling those moments we spent together is forever here.” He pointed to his head, and then to his heart. “You do not remember.” He tsk-tsked. “Why?” she asked, still feeling bewildered and having difficulty following his line of thought. “I heard you the first time. Swift Hawk, really, it…it…wasn’t like that… It was…” She stopped, for she seemed incapable of uttering another word. Now was the time. Now she should tell him. 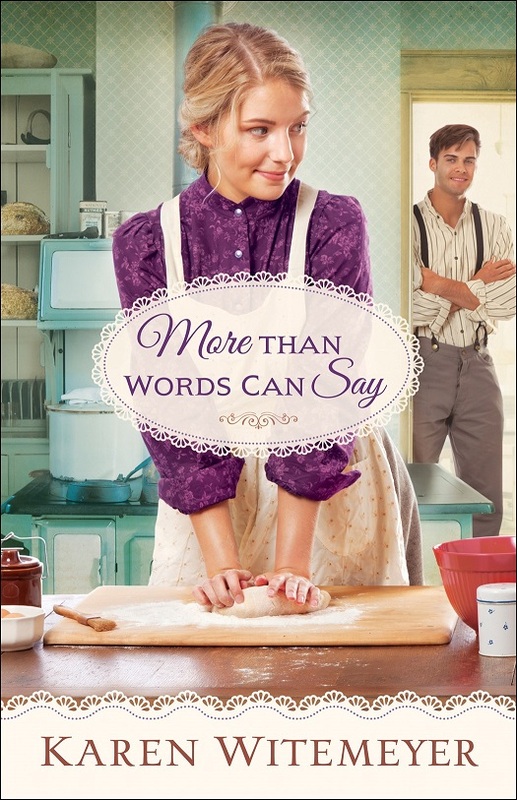 Angelia opened her mouth to speak, took a deep breath, then held it. How in the name of good heaven could she begin? She shut her mouth, thinking, summoning her nerve to say what must be said. Smiling, Swift Hawk inclined his head. “Very well. I will show you instead how eager I am to please you.” He held out a hand toward her. 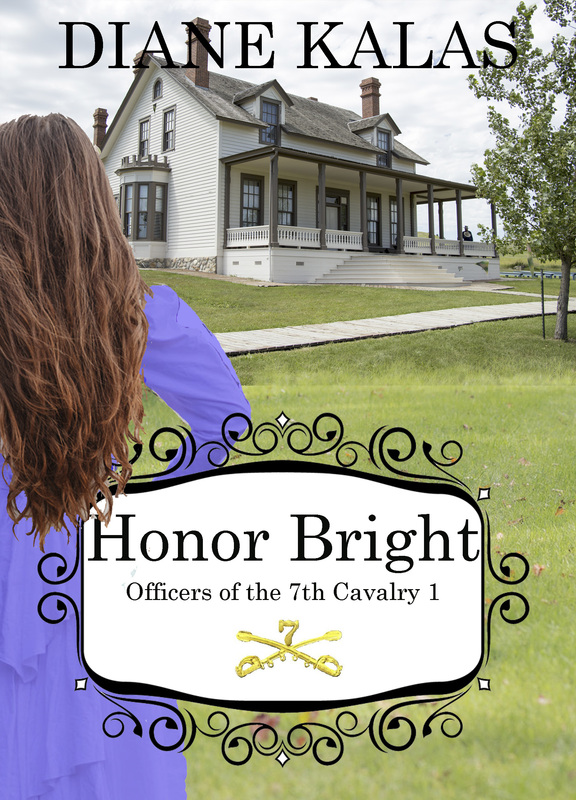 My current release is HONOR BRIGHT, An Inspirational Historical Romance Set in the West, Officers of the 7th Cavalry Series 1. 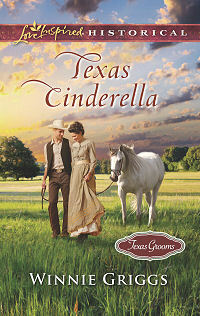 George and Libbie Custer are secondary characters and hometown neighbors of my heroine in book 1. 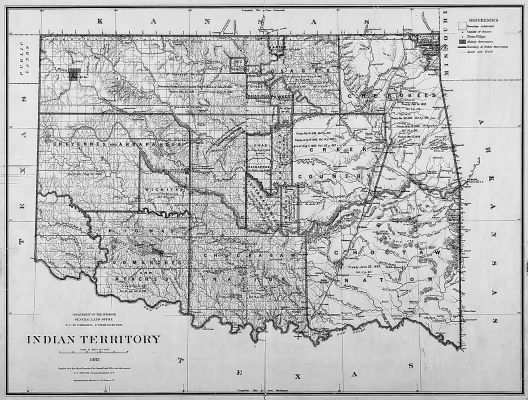 The story takes place two years before Custer’s last campaign, a time when tensions were escalating on both sides of the issues. Each book in Officers of the 7th Cavalry Series, takes the reader closer to the final event in the Little Bighorn Valley. 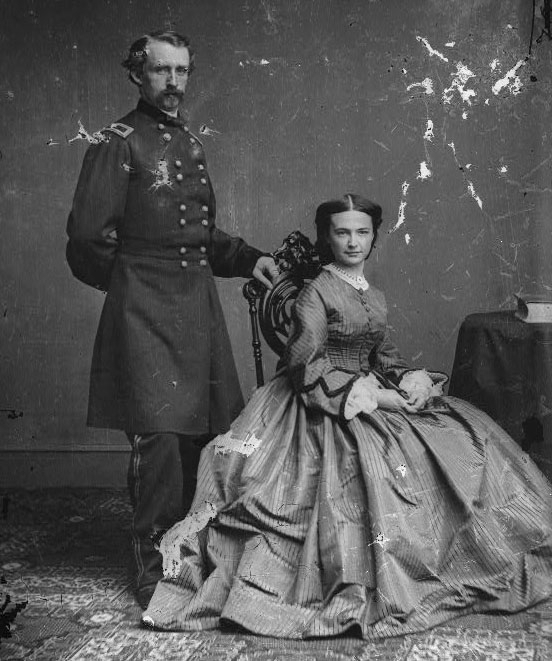 How did I become interested in the Custer story? I was born and raised in Detroit, Michigan and knew that Custer spent some of his childhood in my home state. A job transfer moved us to Ohio for several years where we traveled the I-75 north through Monroe, Michigan to visit family. Alongside the highway in Monroe is a huge billboard with Custer in uniform stating: Monroe, Michigan – boyhood home of the boy-general. A few years later, a temporary job transfer brought us back to Michigan for a year. My husband rented a house on Lake Erie in Monroe County. At that time, I had no plans about Custer being in one of my future books. Out of curiosity, however, I visited the small Custer museum in Monroe, and a neighborhood bookstore where I purchased several books about George and Libbie Custer written by a local Custer historian. Next, I stopped by the Monroe County Library that has a fantastic Custer Collection. The librarian informed me that next to Presidents Washington and Lincoln, no other historical figure in our country has as many books written about him as George A. Custer. She also mentioned that people living in Japan and Italy have made inquiries about Custer’s career. After all this time, people want to learn more details about the controversial boy-general! At a county flea market, I found an original edition of Libbie Custer’s BOOTS AND SADDLES or Life in Dakota with General Custer, Harper & Brothers, New York, 1885. That was the first book Libbie wrote, years after George died. Cost: $6.00. I do not really believe in coincidences. 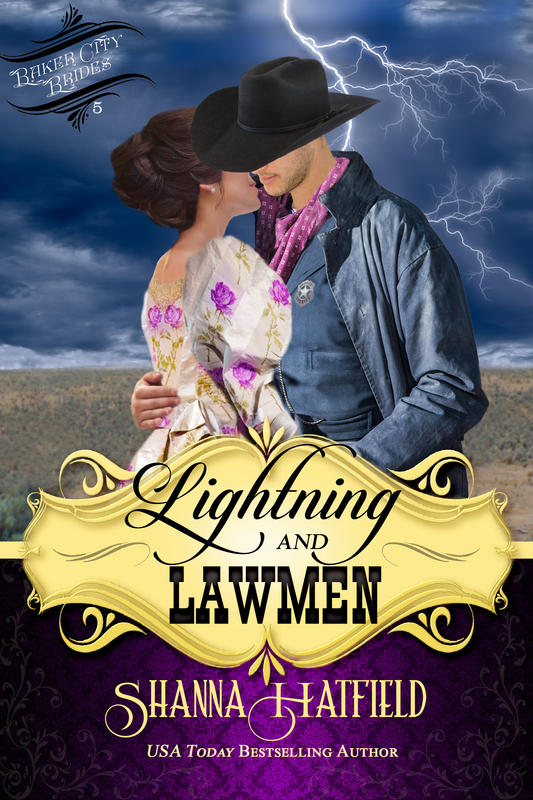 I finished four other stories, before starting my current release: HONOR BRIGHT, An Inspirational Historical Romance Set in the West, Officers of the 7th Cavalry Series 1. George Armstrong Custer’s prankish career at the United States Military Academy put him last in his 1861 graduating class. Afterward, his flamboyant cavalry escapes during the Civil War brought a continual interest from the press of the day. Old men admired his courage and women saw him as a dashing figure. Today, however, mention Lieutenant Colonel George A. Custer and his 7th Regiment of Cavalry, given to Custer as a reward for his Civil War record, and images of war against the Plains Indians come to mind. Current authors and historians write more books about Custer as villain, because of the post-Civil War years, than as hero. When people react negatively to Custer’s name, it is because as a military officer he represented our government and its policies at that time. 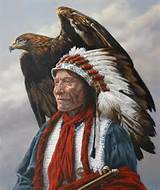 Our point of view today, concerning the western expansion after the Civil War, is sympathetic toward the Indians and highly critical of our actions against Native Americans. The list of officers mentioned here guided and/or ordered Custer’s military career. General Alfred Terry, Custer’s immediate superior; Major-General Phil Sheridan, his close friend and mentor; Major-General William Tecumseh Sherman; President Ulysses S. Grant, commander in chief (all Civil War generals). In other words, Custer did not act alone. My bibliography for Officers of the 7th Cavalry Series has exceeded my budget. Last month, I purchased two additional books on Custer. I’m hooked on research. Some called the Little Bighorn Battle “a clash of cultures and Custer, a man of his time.” My hope is that the reader will enjoy the fictional story with interesting characters, set against the backdrop of an isolated fort in the Dakota Territory in 1874. The cover of HONOR BRIGHT, Officers of the 7th Cavalry Series 1, features the 1989, rebuilt home and command headquarters for the famous 7th Cavalry. This was George and Libbie Custer’s first home built for them by the U. S. government, and the reassembled 7th Cavalry Regiment since it was formed after the Civil War. Location is Fort Abraham Lincoln, across the Missouri River from Bismarck, Dakota Territory (ND today). The Fort Abraham Lincoln Foundation raised funds and constructed the home after years of research and planning. The estimated total cost to develop Cavalry Square was $6 million, with $2 million appropriated by the U. S. Congress. The Custer House cost almost $400,000. The North Dakota Parks and Recreation Department now operates the Fort Abraham Lincoln State Park. As the centerpiece of Fort Abraham Lincoln, the Custer house is the third built on the exact same lot as the original Custer residence. The first was built in 1873, one of seven buildings that formed Officers’ Row on the fort’s western perimeter. In the center of three duplexes for bachelor or married officers, is the Custer home. Fire destroyed the original house in the middle of the night in February 1874. George and Libbie barely escaped with their lives. Donations quickly replaced just about everything they lost. Libbie called their frontier home elegant, especially after she requested the installation of the bay window in her parlor, and George provided funds for the railing to the second story (balustrade) made of butternut, a difficult wood that required 80 hours of labor to construct. Spring 1874. 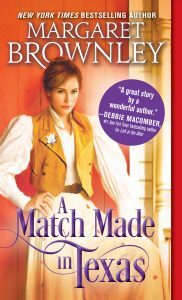 Rebecca Brewster arrives at Fort Abraham Lincoln to preview life on the far western frontier, before her marriage to an officer in Lieutenant Colonel George Armstrong Custer’s famous 7th Cavalry Regiment. Becca is soon disillusioned with her childhood love who is critical of her tomboyish ways. 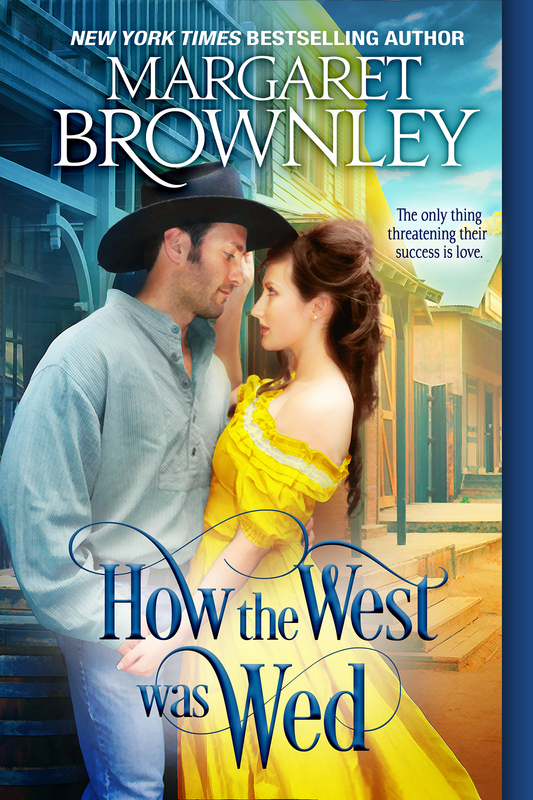 He insists she behave as a lady in the footsteps of Libbie Custer. 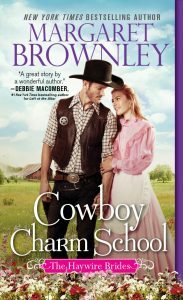 Major Randall Steelman, second in command under Custer, finds Becca’s fun-loving spirit and open affectionate ways charming. 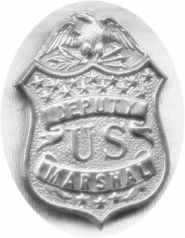 As an officer, however, Rand’s strict code of conduct forbids him to act on his interest in a woman when it involves a brother officer. 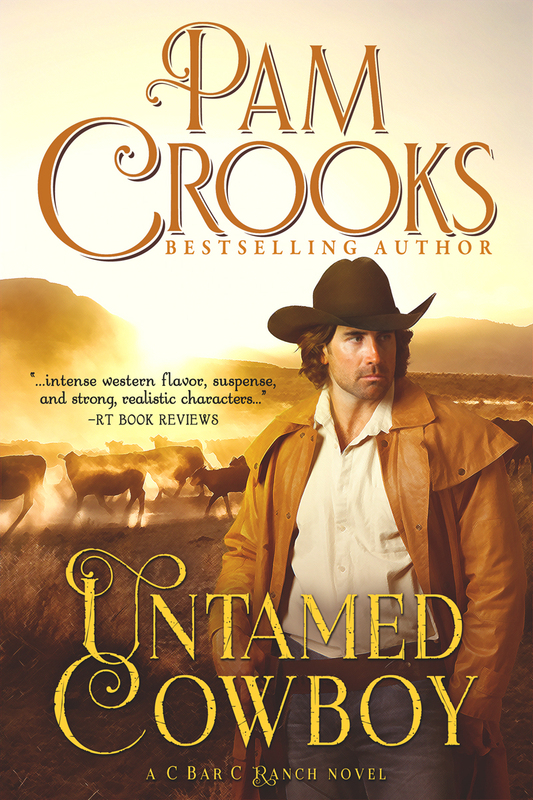 How can he stand by and watch Becca marry an arrogant hothead with unbridled ambition, when he finds Becca more irresistible each day? Amid increasing tension between the hostile Sioux Indians and the government that Custer represents, Rand walks a tightrope balancing professional duties and a friendship with his commander. Custer’s reputation is two-fold: Capable cavalry officer and fearless leader; arrogant and petty tyrant. With one-year left to serve his country, Rand is determined to retire with a blemish-free record and with his rank intact. 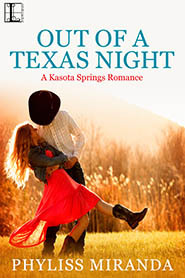 Becca must make a life-changing decision, before it’s too late and she marries the wrong man. Diane Kalas collects antique books written by men and women who lived through the American Civil War, and/or who pioneered out West. With a degree in interior design, she enjoys touring historical sites, especially Federal era homes with period furniture. Published writers Pamela Griffin, Gina Welborn, and Kathleen Maher have been critique partners and mentors. 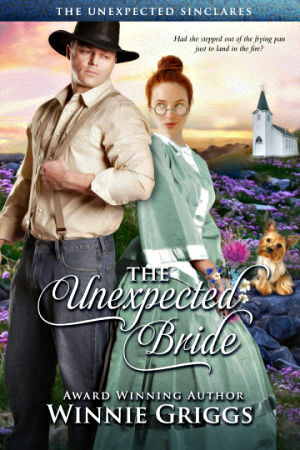 Diane’s biggest challenge is writing Inspirational Historical Romance. Her biggest distraction is her fascination with historical research. 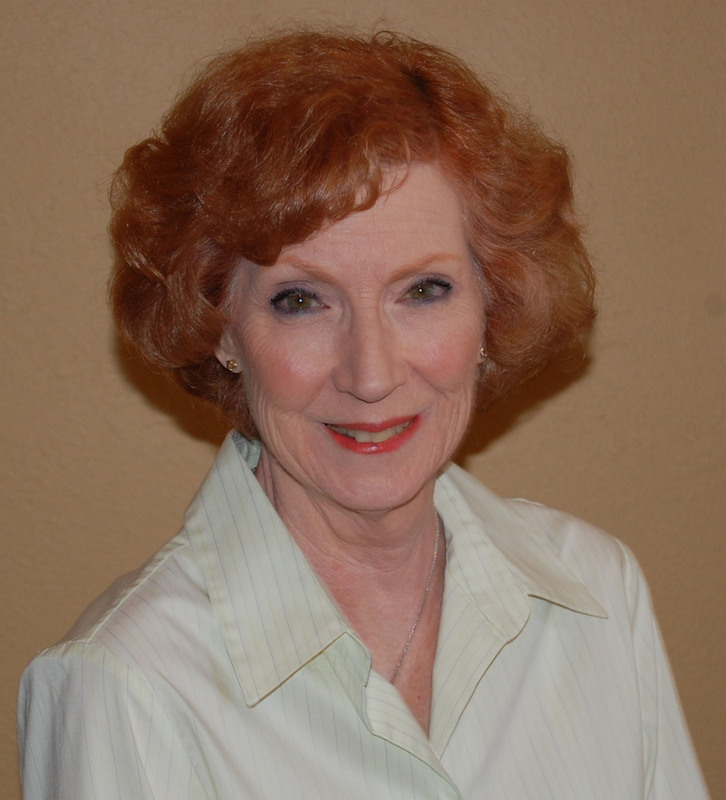 Diane is a member of American Christian Fiction Writers. 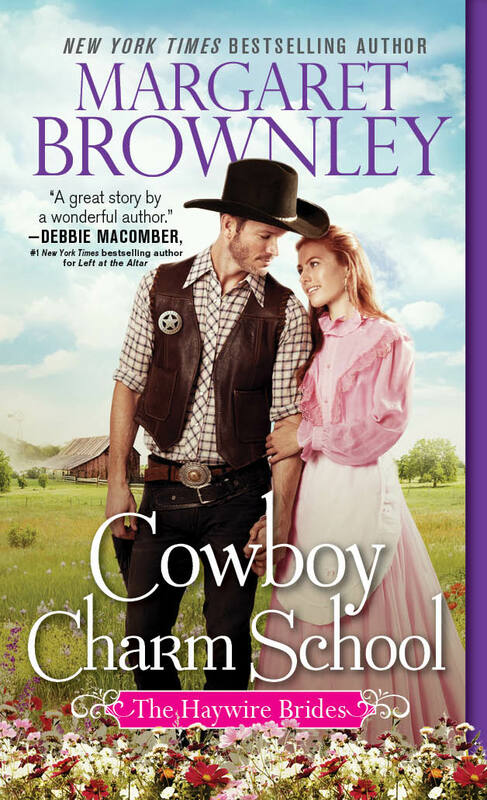 Diane will give either an e-book or paperback copy of HONOR BRIGHT, Officers of the 7th Cavalry Series 1, to someone who leaves a comment, so y’all head on down yonder and say howdy! West. According to True West magazine, one of the strangest bowling alleys was built in California in 1866. After felling a majestic Redwood, miners turned the flat, heavily-waxed surface into a bowling alley. 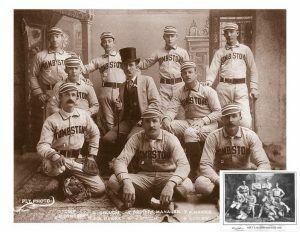 Speaking of sports, baseball was also a popular sport in the Old West. Even Wild Bill Hickok was a baseball fan and reportedly umpired a game wearing a pair of six-shooters. We think of the old West as wild, but it pales in comparison to what’s going on in some cities today. From the 1850s to the 1890s, Texas held the title as the most gun-fighting state. But during that forty-year span, the state logged in only 160 shootouts. The number of Old West bank robberies were also greatly exaggerated. During this same forty-year period, only eight bank robberies were recorded in the entire frontier. Today, yearly bank robberies number in the thousands. California and Texas have the highest number of bank robberies. At long last, the west lives up to its reputation. Some cowboys were real swingers. Yep, they even played golf. The one thing outlaws feared was dying with their boots on. 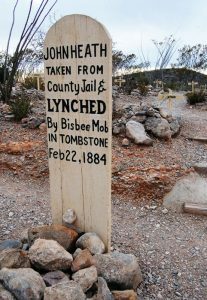 To “die with your boots on” was a term that meant “to be hanged.” Outlaws often pleaded with the sheriff to take their boots off so their mothers would never know the truth of how they died. Before the days of GPS, it was the chuck wagon cook’s job to keep the cattle drives heading in the right direction. Before retiring, his last chore of the day was to place the tongue of the chuck wagon facing the North Star. This was so the trail master would know which direction to move the herd in the morning. It might be hard to believe, but most cowboys didn’t carry guns while riding. Carrying a gun was a nuisance to the riders and firing it would scare cattle and horses. Of the 45000 cowboys working during the heyday of cattle drives, some 5000 were African-American. The tradition of spreading sawdust on saloon floors supposedly started in Deadwood, South Dakota. The sawdust was used to hide the gold dust that fell out of customer pockets, and was swept up at the end of the night. So what Old West fact did you find most surprising or interesting? There’s a new sheriff in town and she almost always gets her man! It’s Christmas Time! 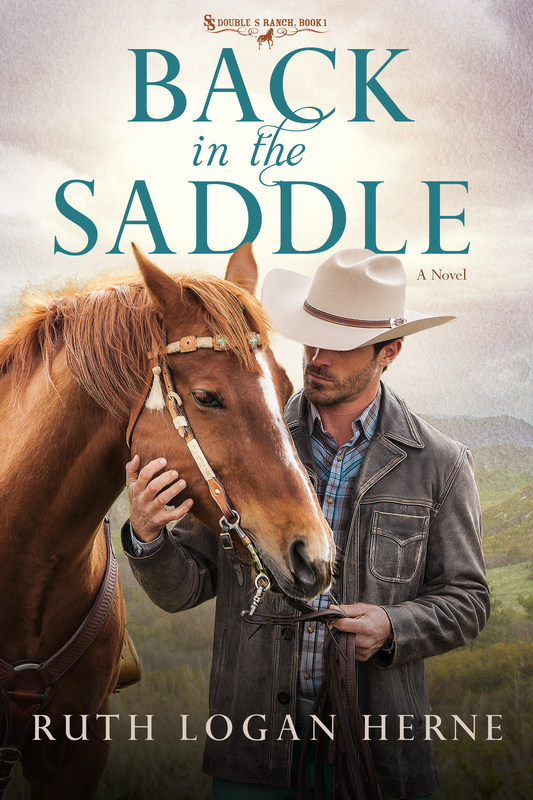 Please let me remind you — because I’ll be doing a free give-away today — to be sure to check back here at the blog on Wednesday or Thursday to see who is the winner. Remember, we here at the Junction don’t contact you. So please check back either tomorrow or the next day to see if you are the winner. The books I’ll be giving away are Soaring Eagle’s Embrace, the mass market paperback version of the book, and Seneca Surrender, e-book. Well, I’ve been thinking and thinking of what I could possibly blog today, since Christmas was not a celebrated holiday for Native Americans before the arrival of priests into this land called Turtle Island. One of my most favorite Christmas memories is being told a story the night before Christmas in an attempt to get me to go to sleep. It didn’t work very well (getting me to go to sleep). But it is a wonderful memory. And so I thought I’d regale you with a story. Hopefully I won’t put you to sleep with this story. This is the story of the girl who married a star. It’s origin is Sioux — I don’t know if that’s Lakota or Dakota or Nakota. All three are Sioux, just different dialects. By the way this story comes to us from the book, Favorite North American Indian Legends, printed by Dover. Before I start, I wanted to say that this legend reminds me of a similar one I used in Soaring Eagle’s Embrace, which is the book I’ll be giving away today. Long ago, there were two sisters, one whose name was Earth and the others name was Water. This was at a time when all people and animals were in close communication with each other and so the animals supplied the sisters with all their needs. One day the sisters went out to dig turnips (a much favored food at this time in history). Both of their husbands warned them not to strike the ground too hard. But Earth, in her haste to dig the turnips, struck the ground so hard that she fell through the sky to the ground. When she awoke, she found a handsome boy by her side — her son. Although Earth’s husband could not come to get her again, and though he loved his son deeply, he gave to his wife the only thing that he could — their son, Star Boy. It was a gift from his heart. ‘Tis the season of giving. I hope you have enjoyed this story. I thought it was quite beautiful. Now one more thing before I end. 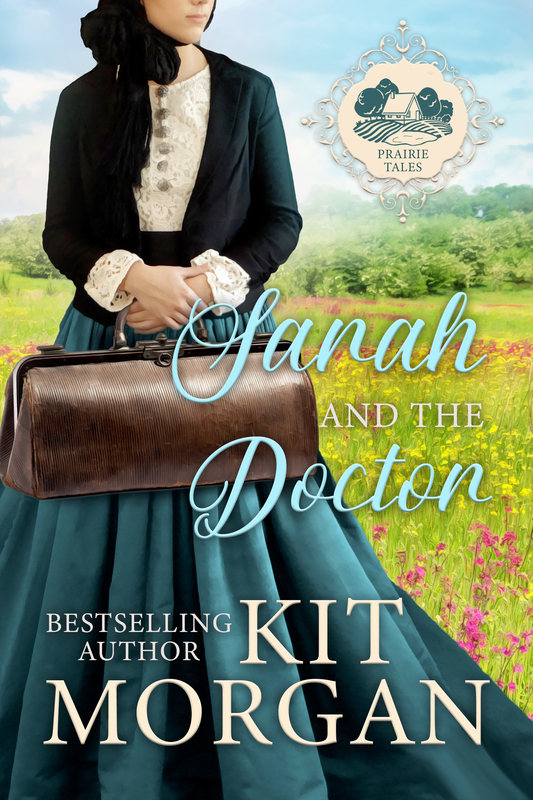 Seneca Surrender was just recently released in October in ebook and Tradepaper — from Prairie Rose Publications. Below is the cover. I’ll be giving away a free copy of Seneca Surrender in ebook format today to some lucky blogger. So that’s two chances you have to win a free book. All you have to do to enter into the drawing is to leave a comment. But please, over to right here is our Giveaway Guidelines. Please do have a look at them. The rules are few, but are important — so give them a read. 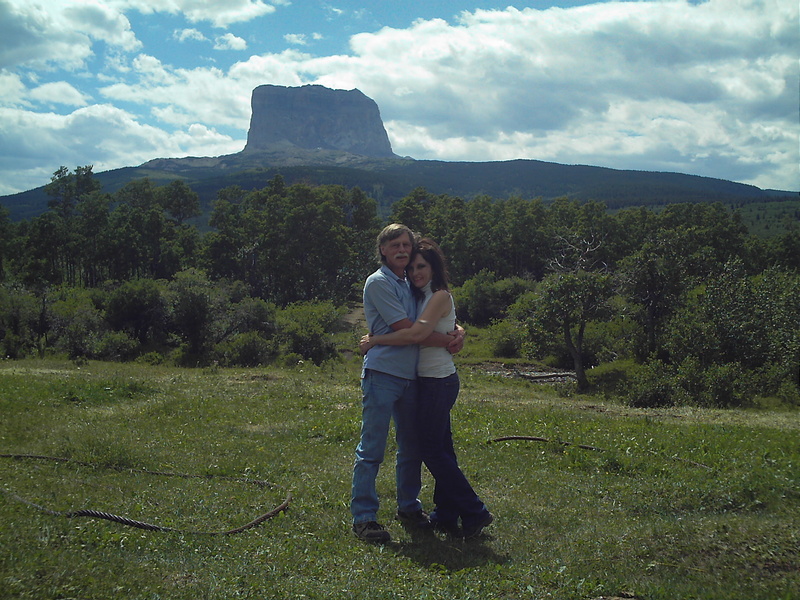 The picture to the right is of my husband and myself with Chief Mountain in the background, the setting for Soaring Eagle’s Embrace — this is on the Blackfeet reservation. And so from my heart to yours, I wish you a very Merry Christmas! Oliver Winchester bought the remains of the Volcanic Repeating Arms Company, started the New Haven Arms Company, reorganized it as the Winchester Repeating Arms Company in 1866, and manufactured some of the most famous firearms ever created. Today we’re going to look at one of their most revered rifles: The 1876 Winchester Centennial Repeating Rifle. Introduced at the Philadelphia Centennial Exposition of 1876 and named to commemorate our nation’s one hundredth anniversary of independence, Winchester’s lever-action rifle was the largest and among the most powerful repeaters on the frontier. The Centennial was one of the first lever-action weapons to use larger caliber, center-fire ammunition. In the same way that “rim-fire” meant the hammer struck the rim of the projectile, center-fire means the hammer strikes the center of the bullet when the trigger is pulled. In this case, larger means .45-75 to .50-90 caliber bullets. The Centennial Repeater was 48½” long with a 28” barrel, and weighed in at 9 to 9½ pounds! And loading it with shells adds at least another pound. A gallon of milk weighs only 8.6 pounds–try holding that out in front of you and keeping it steady enough to hit what you’re aiming at! This sturdy, reliable rifle was favored by good guys and bad guys alike. There were many of them at the Battle of Little Big Horn (most in the hands of the Native Americans), and they were common among those who traveled and settled out west. The Model 1876 was carried by ranchers and cowboys, Texas Rangers and the Canadian North West Mounted Police. President Theodore Roosevelt owned and used one; even notorious outlaws such as Johnny Ringo (left) and Tom Horn relied on this rifle during the late 1800s. Hollywood loved the 1876 Centennial Repeater, too. 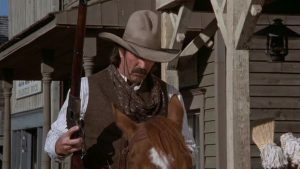 Tom Selleck carried one as Rafe Covington (right) in Crossfire Trail (TNT, 2001) and as Monte Walsh in Monte Walsh (2002). 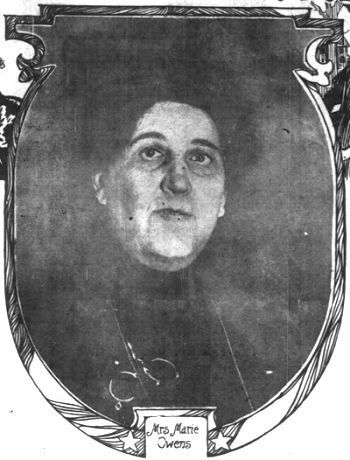 Virginia Madsen used the 1876 Centennial when she saved the day–and her man– also in Crossfire Trail. It made an appearance Steve McQueen’s hands when he played Tom Horn in the 1980 movie of the same name. And characters Johnny Ringo and Sherm McMasters used it in Tombstone (1993). , from the final gunbattle in TNT’s Crossfire Trail, shows an 1876 Centennial in the back, an 1866 “Yellow Boy” or “Golden Boy” (because of the polished brass receiver) in the middle and a Winchester 1873 in the front. The 1876 Centennial Rifle was the king of its day. Manufacturing was discontinued in 1898 after Winchester produced nearly 64,000 of this amazing lever-action rifle.